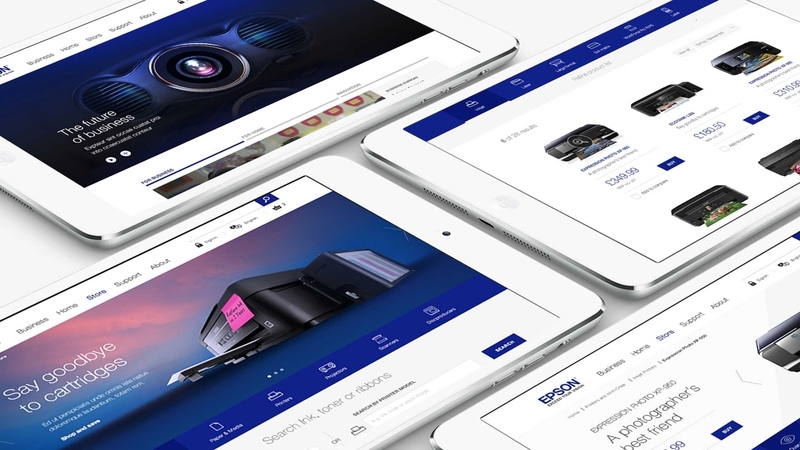 As part of a project to overhaul Epson’s online store experience, Purpose were given the opportunity to consider the full online brand experience within the Pan-European market, with a view to raising awareness of the Epson brand and helping drive sales. Working with Epson’s customer experience and brand teams based in Germany and the UK, we carried out an audit of the existing website functionality to inform our recommendations of how to increase user engagement. From this, we developed a series of new website templates and introduced rich media to help bring the brand to life and increase awareness of the products and services available.